IoT devices provide voluminous and detailed data about the characteristics and operating conditions of a particular tool. But it takes machine learning techniques to extract the important signals from these datasets and create predictive models. 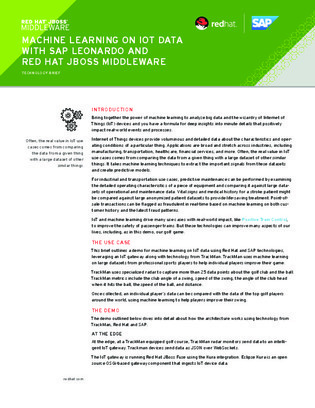 Read this white paper to explore a real-world use case for IoT and machine learning, and how 1 sports application is using the technologies to help golfers improve their game.